Floating paints or dyes on a fluid and dragging a feather or comb through creates wonderful patterns. This is the basis of marbling. At a recent bookmaking workshop some participants used paper I had marbled on the inside covers …. that was the birthplace of this workshop as some want to learn this ancient craft. What paints/dyes to use, what to use as a base so the paint does not sink…. 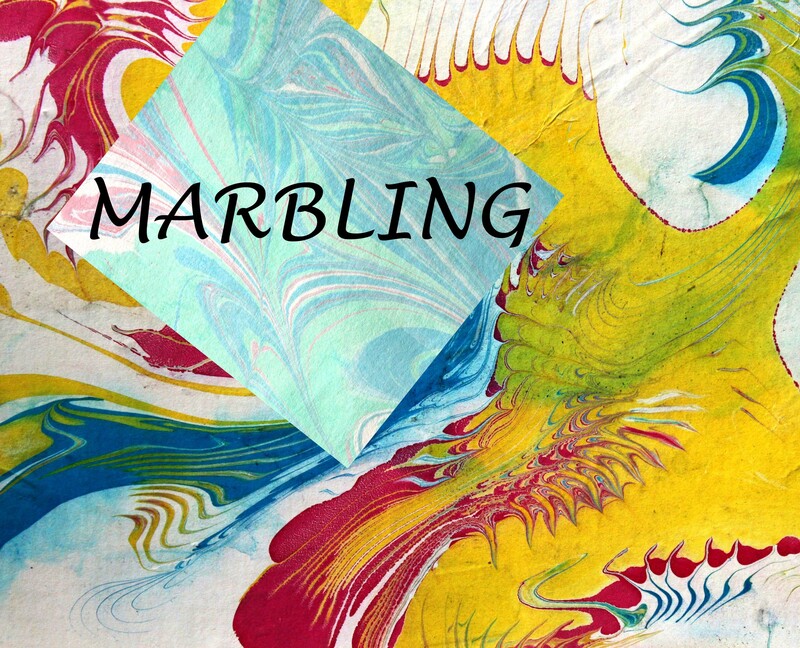 you will learn these things at this workshop and go away with some marbled paper, envelopes, writing set, maybe a blown marbled egg, a pencil, box, handkerchief……. This entry was posted in Art Classes, workshops and tagged colour, decorative art, marbling, pattern, workshop.